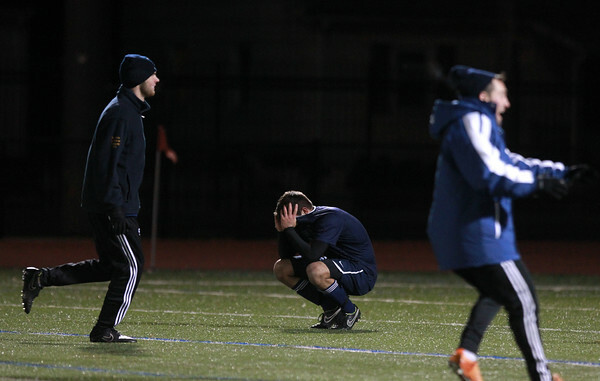 A St. John's Prep player kneels with his shirt over his head after the Eagles fell to Needham 1-0 in the D1 State semifinal at Manning Field in Lynn on Tuesday evening. DAVID LE/Staff photo. 11/18/14.